The Commission named eight countries – Poland, The Czech Republic, Slovakia, Hungary, Bulgaria, Estonia, Latvia and Lithuania – as markets where sufficient elements were available to open an antitrust inquiry against Gazprom. Additional countries could be investigated later on if new elements come to the surface, the EU Executive indicated. Abusive prices, and indexation of gas prices to the price of oil. Colombani said that the probes had been launched following an official complaint by Lithuania and a result of signals confirmed by “market players”. In the meantime, the Government of Lithuania issued an official statement, welcoming the Commission’s move. "Reports on antitrust investigations only confirm the matters which we have repeatedly spotlighted. 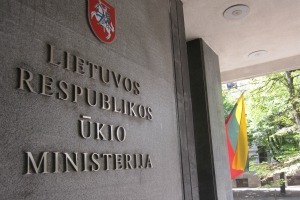 We can only reaffirm that Lithuania addressed the EC Competition Directorate back in the spring of 2011", Prime Minister Andrius Kubilius stated. According to Lithuania’s Ministry of Energy this investigation is a clear demonstration of “principled EU energy policy”. "Unfair gas prices, economic and political pressure, anti-competitive actions. We have experienced all this only due to the fact that we were the first to make real actions towards implementation of EU's energy policy. For this we were punished with the highest gas prices in Europe. Therefore the investigation initiated by the European Commission suggest that our efforts will be helpful for the whole Europe to establish a transparent and efficient energy market ", said the Minister of Energy Arvydas Sekmokas. Dr Ar?nas Molis, a political science professor at Vilnius University, is more specific about Lithuania’s concerns. Gazprom, he said, has made it plain that Lithuania would “suffer” if it starts implementing the EU's so-called "Third Energy package", adopted in 2009, which requires vertically integrated energy companies like GDF or Gazprom to separate their gas supply and distribution businesses (so-called "ownership unbundling", see background). He said Gazprom was threatening to cut off supplies before alternatives such as LNG were able to reach Lithuanian soil. The Russian monopoly also refused to apply price discounts for Lithuanian consumers, contrary to what was offered to other countries which postponed implementation of the Third Energy Package or chose softer options. Trying to change Lithuania's decision to separate gas supply from distribution, Gazprom reached out to Lithuanian politicians, Molis said, and supported "friendly" political parties, used local media, etc. (the country will hold parliamentary elections on 14 October). “This huge pressure on the government and price for gas much higher than for other Baltic States and Germany for instance is called unfair and braking anti-trust rules – at least this is how I understand it,” Molis said. The other countries concerned by the EU antitrust probe refrained from making the kind of bold statements issued by Lithuania. It emerged however that Bulgaria probably provides the most drastic case of heavy-handed pressure applied by the Russian giant. As EURACTIV reported on 27 August, Gazprom and the Bulgarian government reached a deal this summer under which Sofia committed to the Russian-backed South Stream pipeline in exchange for a long-term pricing agreement on Russian gas. The “double deal” is scheduled to be signed on 15 November. Traicho Traikov, Bulgaria’s former Energy minister who resigned in March, said in an interview with website Mediapool that he had opposed linking the issue of gas pricing with a commitment to the South Stream project. Companies found to have violated EU competition rules can be fined up to 10% of their annual turnover. If the violation was committed over a period of several years a fine of 30% can be imposed. According to the experts quoted by the Russian daily Nezavissimaya Gazeta, Gazprom may have to pay $1.1-1.4 billion (€0.87- 1.10 billion) for one year, or $4 billion (€3.17 billion) for several years. “The risks for Gazprom are high, although European commissioners will not necessarily impose a penalty. They may issue an order for them to amend their practices,” Mikhail Korchemkin, head of East European Gas Analysis, is quoted as saying. But according to energy expert Matthew Hulbert, who blogs with Forbes, Gazprom would hire “the best lawyers money can buy” and the result of the probe is far from certain. Gazprom released yesterday a press statement, stressing that they are a company “registered outside the jurisdiction of the EU”, which abides “scrupulously” by “all the provisions of international law and national legislation in all of the countries where Gazprom Group conducts business”. EURACTIV asked Danila Bochkarev, Senior Fellow at the EastWest Institute, to comment on the Gazprom strategies. Bochkarev says that the Commission's timing of the probe appears to be well-chosen and aims to exercise a covert pressure on Gazprom’s pricing model as gas demand is contracting in the EU, and Europe has a more diverse portfolio of suppliers. In periods of oversupply, buyers are likely to get the upper hand in the energy markets, he explained. According to the expert, the Russian gas company is more flexible in “mature” markets such as the United Kingdom, where the market is largely oriented towards spot prices set in gas trading hubs. “On the contrary, the supply contracts in less developed and less diversified markets in Central and Eastern Europe are almost entirely linked to oil. In the past 3-4 years a number of European energy companies have been also negotiating new supply contracts with Gazprom. Many of them managed on a case-by-case basis to change the contract conditions, get price discounts and introduce partial spot price indexation. Until now, energy companies, mostly from Western Europe, were in general more successful than the European Commission and Central and Eastern European member states in gaining concessions from Gazprom. If successful, the case against Gazprom is therefore likely to result in further concessions for the European energy companies,” he stated. Bochkarev expects the European Commission, advocating the transfer of decision making powers in the sphere of energy from national authorities to the European level, to emerge as “the main winner” from the stand-off. “Nevertheless, the loss of the case would not result in immediate “defeat” of Gazprom. Though the natural gas market landscape is rapidly changing, the transfer to spot-dominated pricing would take decades, not years, and is likely to result in hybrid (spot/indexation) pricing system,” he adds. The liberalisation of European gas and electricity markets aims to give consumers the chance to freely choose their supplier and shop around for the best deals (see EURACTIV LinksDossier). However, there have been few new entrants to the market and most households and businesses still lack a real choice of supplier. In May 2006, the European Commission conducted a series of surprise inspections of the offices of large European companies - including E.ON, RWE, Gaz de France, Distrigas and OMV - on the suspicion that they were restricting competitors' access to pipelines and gas storage facilities and engaged in 'market-sharing' practices. The findings persuaded the EU executive to propose a third energy liberalisation package, tabled in September 2007. A compromise deal on the legislative package was struck on 23 March 2009. But some voices are warning that the gas sector must be treated with extra caution as the current proposals are causing tensions with Europe's largest supplier, Russia. Dnevnik, the EURACTIV partner in Bulgaria: ????????? ?? "???????" ? ???????? ? ???? ????????????? ?? ???????????? ??????? Mediapool: ???? ???????? ???????? ?? ? ???????? ????? ????????? ?? "???? ?????" The Siwss avalanche is growin, as number of pilled leaders. Yesterday, it was Swiss President Eveline Widmer-Schlumpf visited by Israeli Long Knifes. While authorities are denning it, she failed to reappear, maybe beacuse of her new gray eyes or wall in ear. Today among others i saw walled replacement of Lithuanian President Dalia Grybauskait? and close friend of Bolivian President Evo Morales. In meantime officials found a body of French President Francisco Hollande and are preparing his funeral. Suggesting at same time Ms. Sienkiewicz will be handed in my hands, as was in case of my uncle Jozef Pilsudski. She would be not refused but if it comes to the nation and the kingdom, the Lord did not changed even by yota.